When Is Day of Extremadura 2019 in Extremadura? The Day of Extremadura (Día de Extremadura) is an annual public holiday in the Spanish autonomous community of Extremadura on September 8. It marks the anniversary of the birth of Mary, mother of Jesus. Is Day of Extremadura a Public Holiday? Day of Extremadura is a public holiday in Extremadura. It is a day off for the general population, and schools and most businesses are closed. Some people attend special church services to mark the anniversary of the Virgin Mary's birth and honor her life. Special devotional services are held in the monastery of Santa María de Guadalupe in the village of Guadalupe. This monastery houses the statue of Our Lady of Guadalupe of Extremadura. Extremaduran culture and language celebrations. Local fairs and agricultural shows. Tastings of traditional Extremaduran foods and wine. The flag of the autonomous community of Extremadura is widely displayed as buntings and on public buildings and private homes. 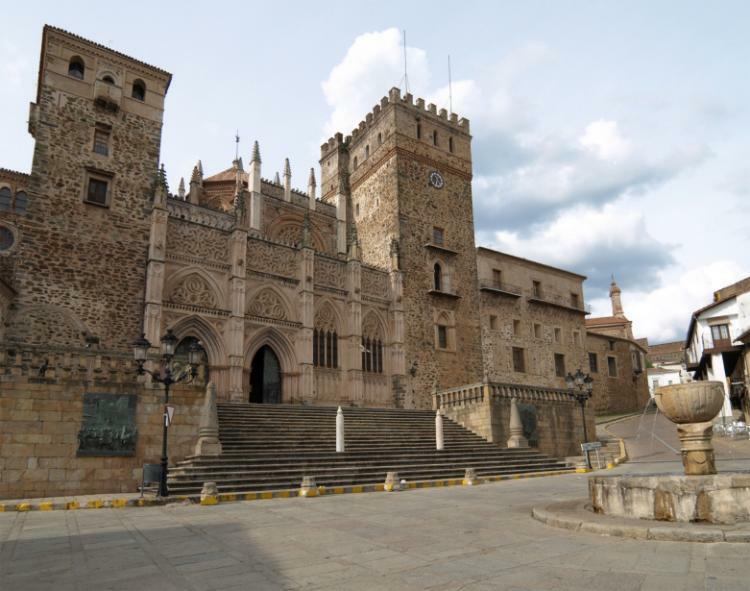 September 8 is a public holiday in the autonomous community of Extremadura. Public life is generally quiet. Most businesses and other organizations are closed. Many stores are closed but some bakers and food stores may be open. Public transport services generally run to a reduced schedule but there may be no services in rural areas. Large events may cause some local disruption to traffic, particularly in town and village centers. Regional or local authorities may move the public holiday to a different date, particularly if September 8 falls on a Sunday. If September 8 falls on a Tuesday or Thursday, many businesses and organizations are also closed on Monday, September 7, or Friday, September 10. September 8 is not a public holiday in the rest of Spain, except in Asturias, which celebrates the Day of Asturias on this date. There is a statue of the Virgin Mary in the Santa María de Guadalupe monastery in Guadalupe in Extremadura, Spain. The statue is known as Our Lady of Guadalupe. Legend says that an early Christian saint known as Luke the Evangelist carved the statue sometime before the year 84 CE. Pope Gregory I reportedly gave the statue to Saint Leander of Seville sometime around the year 590 CE. The city of Seville was taken by the Moors in 712 CE. At this time, a group of priests removed the statue secretly from Seville. They buried it in the hills near the Guadalupe River. Sometime around 1300, the Virgin Mary appeared to a shepherd guarding his flock in the hills near the village of Guadalupe. She ordered him to ask priests to dig near to where she had appeared. They discovered the statue of Our Lady of Guadalupe and built a small shrine on the location. The shrine became the monastery of Santa María de Guadalupe. Extremadura is an autonomous community of Spain. It has borders with Portugal and the Spanish autonomous communities of Andalusia, Castile-La Mancha and Castile and León. It became a Spanish autonomous community on February 26, 1983. A law enacted on June 3, 1985, proclaimed September 8 to be a public holiday known as the Day of Extremadura. The public holiday was first observed on September 8, 1985. The statue of Our Lady of Guadalupe. The shrine to Our Lady of Guadalupe in the monastery of Santa María de Guadalupe. The flag of the autonomous community of Extremadura. The autonomous community of Extremadura's coat of arms. The autonomous community of Extremadura's flag consists of three equal horizontal bands. The top band is green, the middle one white and the lower one black. Extremadura's coat of arms is at the end close to the flag pole. This coat of arms consists of a crown on top of a shield. The shield is decorated with images of a lion, a castle, a tree and the pillars of Heracles.